When a blogger writes, he/she usually has in mind a specific target reader, and as such he/she writes about a topic that might interest those specific readers. 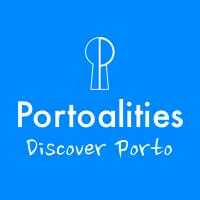 In addition to that, here at Portoalities I have the responsibility to answer to the dozens of questions I get everyday about Porto. But today, I am writing for other reasons. 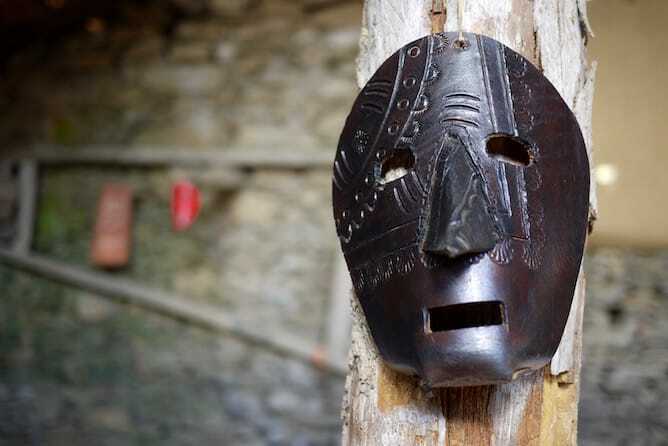 I am writing for the mysteries of the Traditional Portuguese Carnival in Northeast Portugal; I am writing for the friendship I found in caretos, the masked men from Podence; I am writing for the astonishing landscape of the natural park of Azibo, the stage of many carnival adventures. 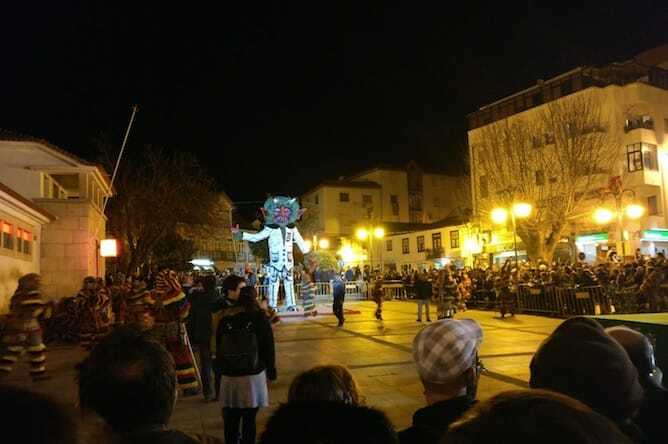 Above all, I am writing because my family is from Trás os Montes, in Northeast Portugal, and I feel very moved to have participated in the traditional Portuguese Carnival of Podence, a tiny tiny village over there. 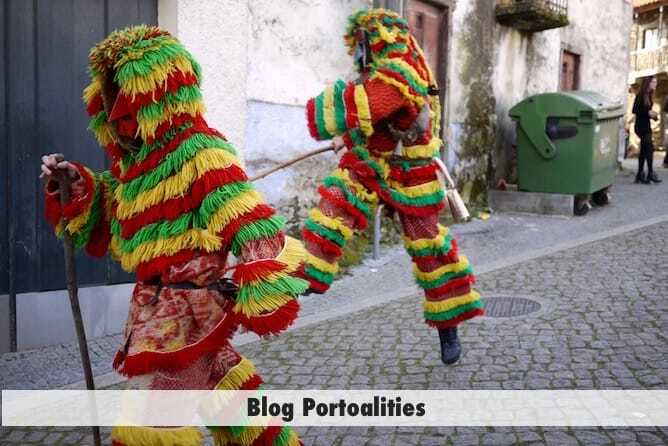 What is so special about the Traditional Portuguese Carnival in Podence? 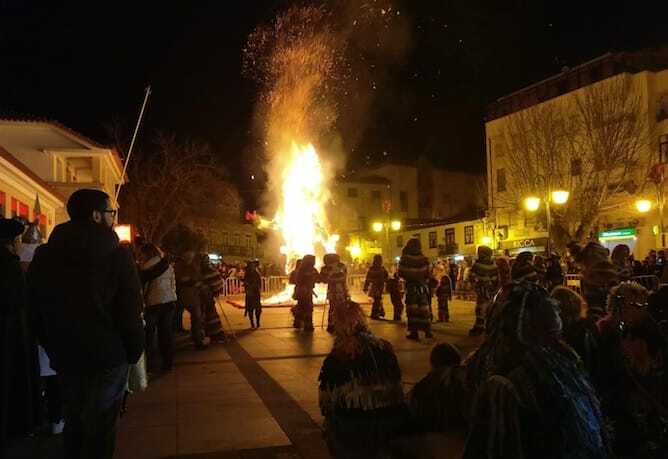 Unlike the Brazilian Carnival or the Carnival in Venice, in Northeast Portugal the celebrations of Carnival are deeply connected to pagan rituals that date from the Roman times. Therefore, every year there is a strong activity programme during the celebration of the traditional Portuguese Carnival in Podence. 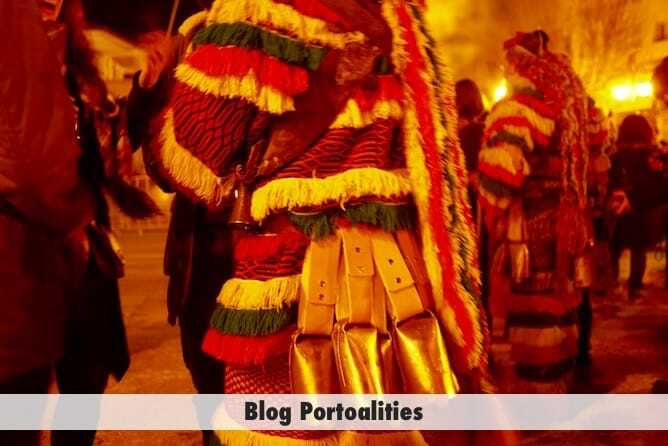 The parades of caretos, that take place in Podence and in Macedo de Cavaleiros, are unmissable. Men go out using masks with bouncy bells, with which they “choke” the single ladies, jumping all around them. The secret, ladies, is to grab them and jump while they jump, otherwise the bells really hurt when they hit your backs! 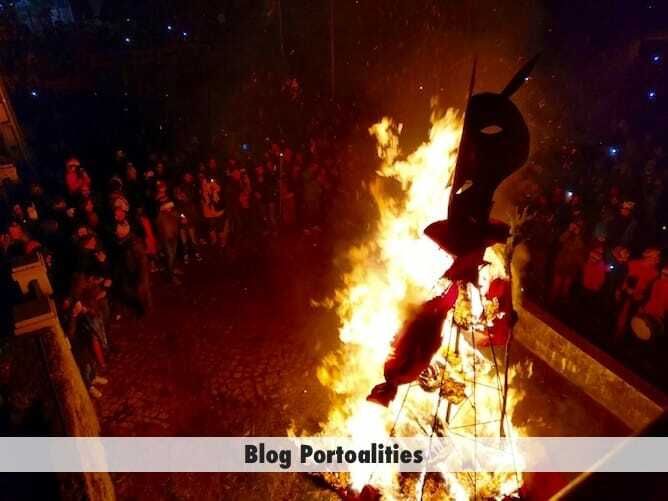 There is also the burning of the entrudo: a devilish red straw doll with horns. It is a dramatic moment of great social catharsis. 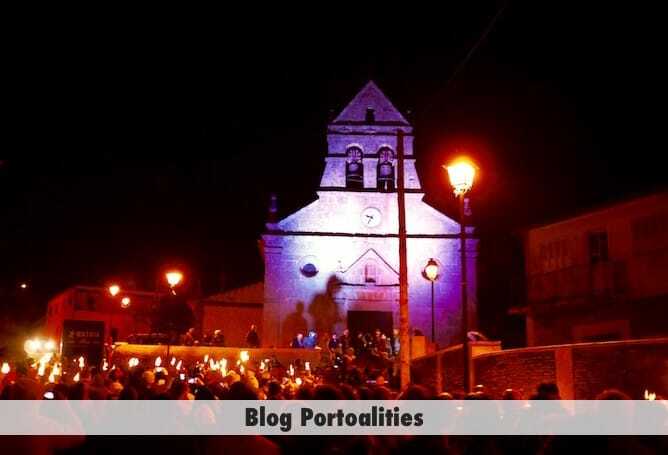 … and another after pregão casamenteiro – a beautiful tradition in which the men of Podence, using giant megaphones, announce “marriages” among the bachelors of the village. The next day, the “bride” prepares breakfast for her “fiance”. 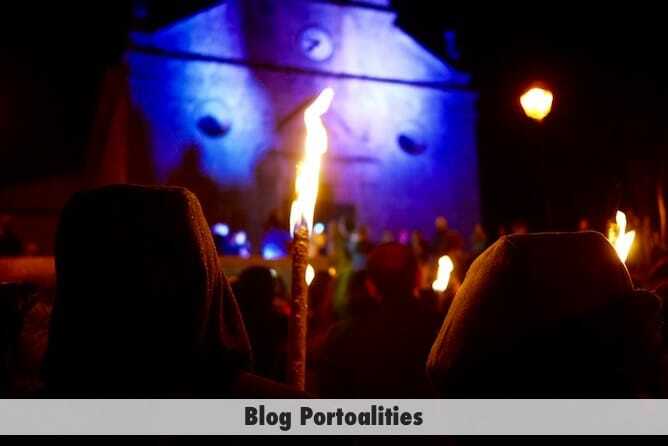 In fact, pregão casamenteiro is not an exclusive tradition of the Carnival of Podence – my mother told me that they did this ritual in our village, Duas Igrejas, and other places in Northeast Portugal. After pregão casamenteiro, it is time to burn yet another entrudo. What else to do during the traditional Portuguese Carnival in Podence? One of the things I most enjoyed doing was to visit the natural park of Azibo, just 2minutes driving distance from Podence. The landscape is breathtaking, requiring a few moments of silence to be fully appreciated. To reach the place on the photos above, simply follow the directions to “Azibo”. 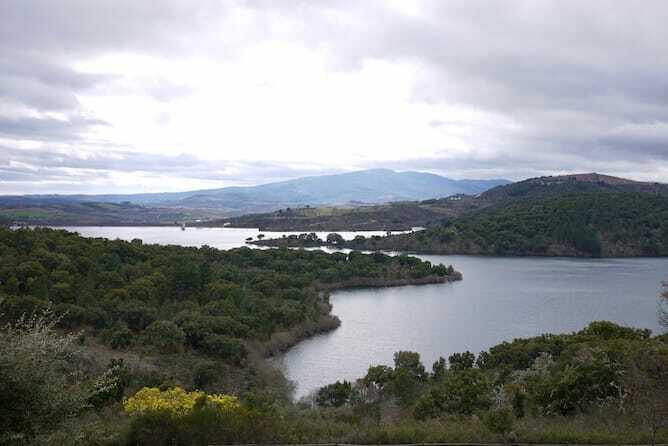 Once you enter the natural park, drive in the direction of a small village called SantaCombinha. 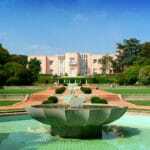 You’ll pass through several beaches, and when you reach Santa Combinha, follow a plaque saying “parque de merendas”, on your right hand side. Hold your breath, it’s time to tell you about a strong tradition! 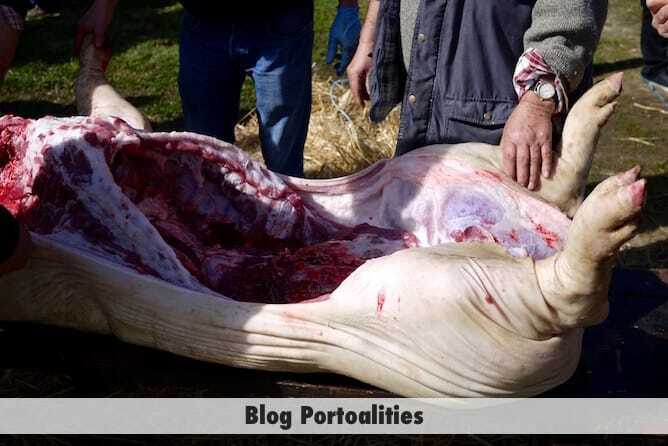 If there is tradition that has always fascinated me is the slaughter of the pig. It is a family ritual, with clear separation of masculine and feminine roles, and that marks still the end of the harsh winter. When I arrived the pig was already dead, but I was just in time to see the singe of the fur. Nowadays it is done with a blowtorch, but in my grandfather’s time, it was with burning hay! 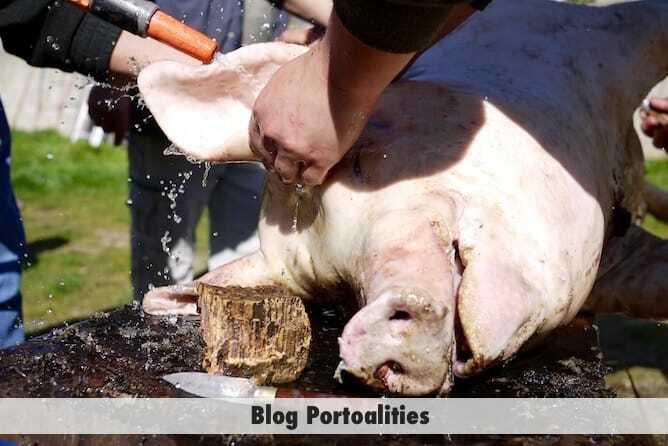 At the same time, the nails of the pig are removed, and with very sharp knives, the charred fur is scraped off. The pig is clean, neat, ready to be opened before the growing audience. Then, the real skills of the most experienced man in the village are tested as he opens the animal: he removes the whole skin from the belly, with a very thin layer of fat, without making a scratch. The organs are exposed, to be quickly removed all together. 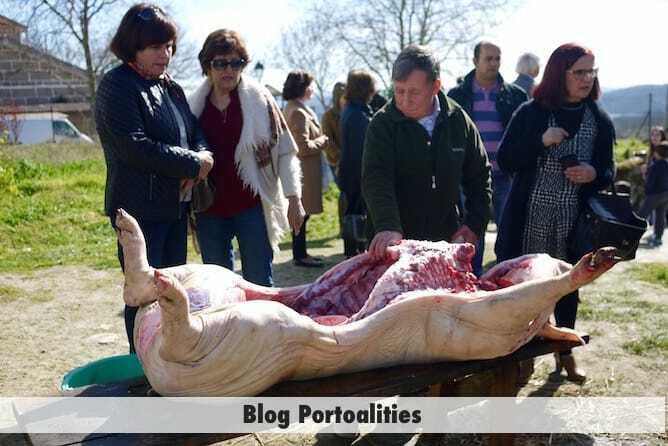 On the day of the pig’s slaughter at the Traditional Portuguese Carnival in Podence, they tossed the intestines out. In my family, we would keep the intestines that the women would very, very patiently wash by hand. 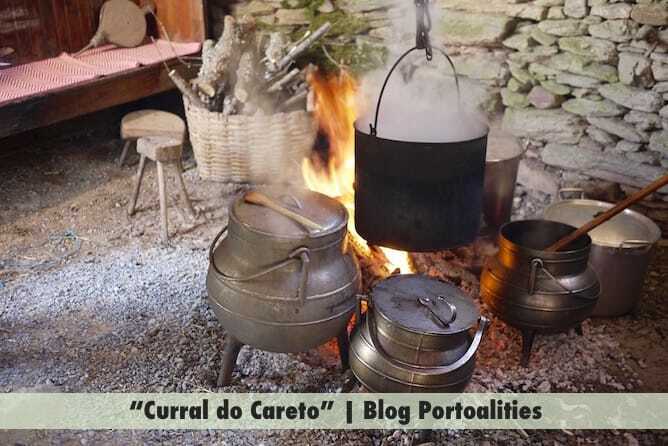 The intestines would then used to make the chouriças, the alheiras, the morcelas, the sausages… how I miss those times! Depois, a verdadeira perícia: o homem mais experiente abre o porco, e retira a pele toda da barriga. 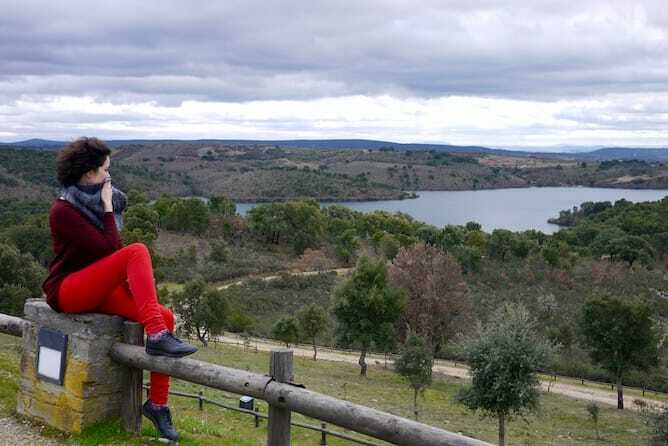 Os orgãos ficam expostos, para rapidamente serem retirados, em conjunto. 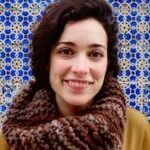 No dia da matança do porco no Carnaval de Podence, deitaram as tripas fora; na minha família, começava nessa altura o trabalho das mulheres que, laboriosamente, lavavam as tripas à mão. Estas eram depois usadas para fazer as chouriças, as alheiras, o chouriço de ossos, as morcelas, as linguiças… que saudades desses tempos! 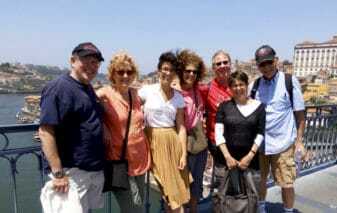 I stayed in Mirandela, at Dona Fina Guesthouse. I must confess that I was a bit afraid that by staying I would be too far away from the festivities in Podence, as the two places are 30km apart. 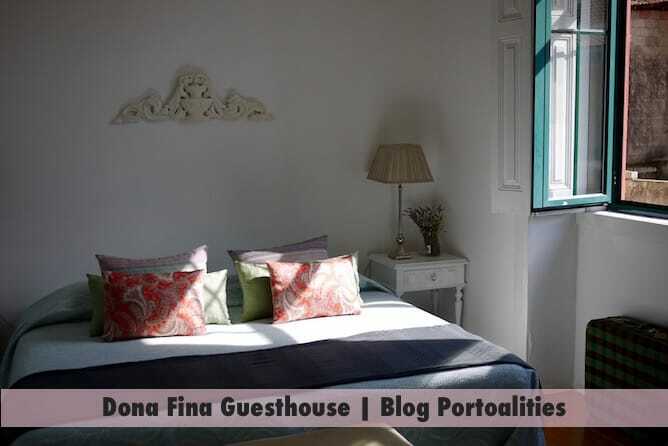 But it was an excellent decision to stay at Dona Fina Guesthouse! 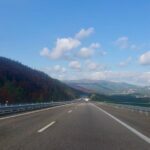 Besides the very affordable price, the trips between Mirandela and Podence were quite easy to make. Everyday I would come back to Mirandela to take a nap before the night festivities in Podence, which made me feel very relaxed. 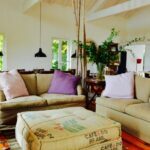 Sandra, the owner of Dona Fina Guesthouse, made me feel very welcomed indeed. I didn’t tell her that I was a blogger and as such I didn’t get a “VIP treatment”; she simply welcomed me with all the kindness and joy that she dedicates to all her guests! Everyday there was fresh cake, bread, organic fruits and much more at the complete disposal of the guests. One afternoon I felt asleep on the couch to gently wake up with Sandra covering me with a blanket. 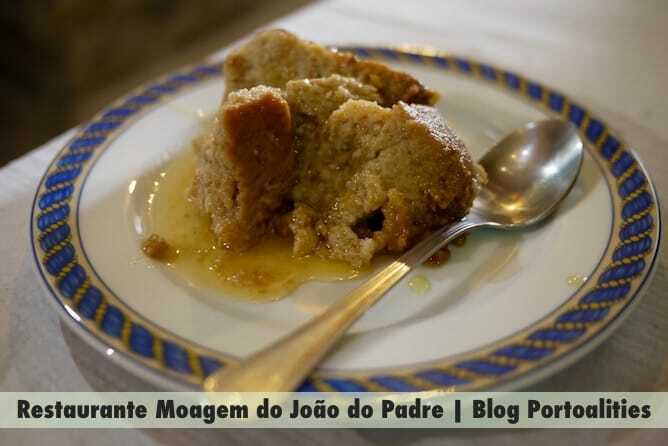 Restaurante Moagem do João do Padre is located in an old mill. 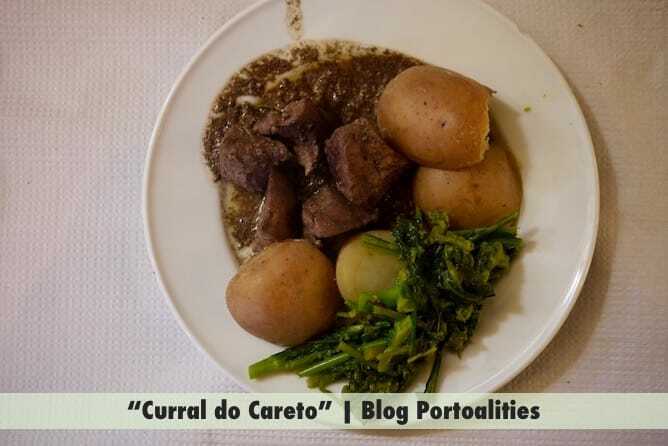 It is a typical Portuguese restaurant, with true northeastern delights such as alheiras (a sausage made of pork meat and bread) and fabulous casulas à Trasmontana (a typical stew from the Northeast Portugal). To finish off, a delicious chestnut pudding. 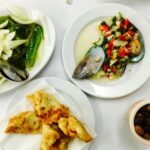 A meal with soup, main course, dessert and drink costs about 15 €/person. It’s really worth it! 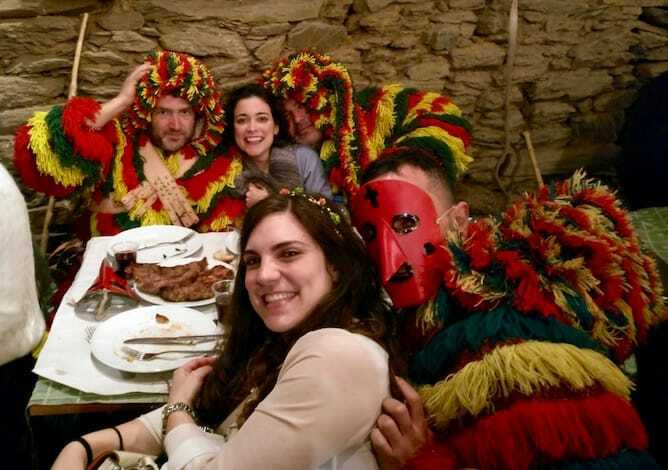 There is a restaurant that only opens during the traditional Portuguese Carnival in Podence. 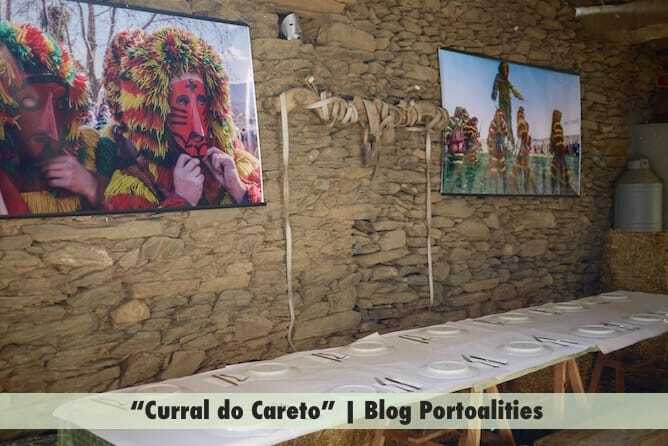 It is called Curral dos Caretos, and it is the real meeting place of caretos, where everyone gathers to eat and drink, to play music and to choke the single ladies, long after tourists are gone. The various cuts of meat are cooked in the fire in large iron pots, just like my grandmother does. 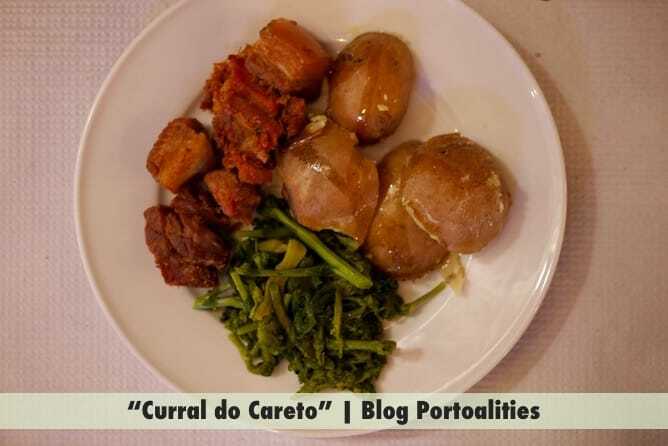 But what is really good at the Curral dos Caretos is the alheira – unfortunately they run out of them, before I had the time to buy a dozen to bring to Porto! I want to finish this article with an homage. Do not just stick around for photos and videos. Get to know caretos, interact with them as much as you can. They are wonderful men, very hospitable and respectful, who will make you feel at home and missing the traditional Portuguese Carnival in Podence the moment it is over. 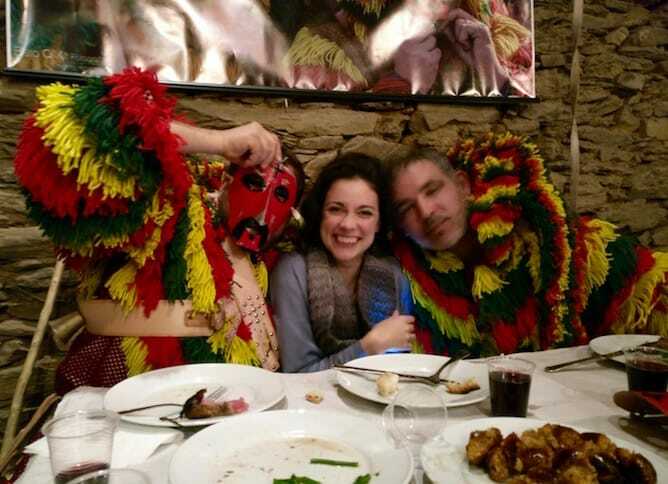 They are the ones who make the traditional Portuguese Carnival of Podence a really wonderful experience!